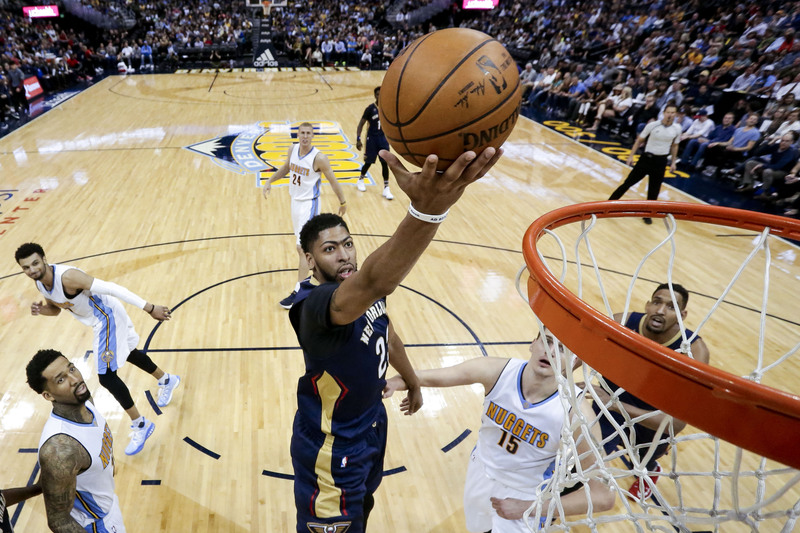 For those of you living under a rock, the NBA’s marquee soon-to-be-free-agent, Anthony Davis, has formally requested a trade away from the New Orleans Pelicans. 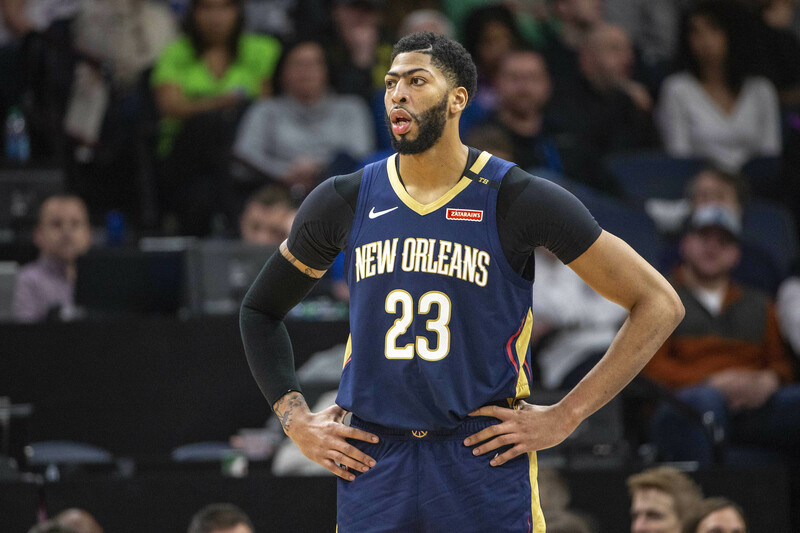 As such, Davis has a bevy of potential suitors eager to strike a deal with Dell Demps and the Pelicans’ front office. With countless trade offers floating around the internet, we took a crack at six offers that could potentially snag the All-NBA talent. DISCLAIMER: One major suitor for Davis, the Boston Celtics, won’t have a trade package included in this piece. The main reason being the Celtics can’t execute a trade for Davis without surrendering Kyrie Irving in a separate deal (per the Rose Rule). This stipulation prohibits teams from acquiring two max-contract players through trade. The Celtics could jettison Irving to make room for Davis, but Boston wants to sell AD on the pairing alongside Kyrie. There’s also the underlying element of Boston’s general manager Danny Ainge comparing LeBron James — a Rich Paul client — to President Donald Trump just two weeks ago. Davis’ agent happens to be Paul. Simply put, that couldn’t have gone over well. The Lakers have had their eyes on New Orleans’ franchise star for quite some time. Though he won’t admit it (because the league has fined him on several occasions before), Magic Johnson has been enamored with the idea of pairing Davis with LeBron James under the bright lights of Staples Center. Davis and James would form one of the most formidable duos ever, and stand as the first real chance at dethroning the mighty Golden State Warriors. LA has spent the last several years (unintentionally) stockpiling young assets through the draft. Ingram or Lonzo Ball should start any deal they send to New Orleans’ management, with the promising trio of Kuzma, Hart and Zubac acting as additional sweeteners. Rondo or Kentavious Caldwell-Pope would need to be included to make the cap figures work, though the latter has the option to waive any trade he’s involved in. It’s unlikely KCP is too keen on moving from Southern California to New Orleans. The remains of the Lakers would be barren, but securing LeBron and AD is a great start with the idea of building towards being a true contender in 2020. Raptors general manager Masai Ujiri traded for Kawhi Leonard without the confirmation of the ex-Spur signing long-term. That seems to have worked out well for both sides. Could Ujiri make the ultimate heat check and bring ‘The Brow’ to Canada? Trading away four key cogs on a team that currently sits atop the Eastern Conference standings would be unprecedented. But could we really blame the Raptors if they wanted to see what a Lowry-Leonard-Davis core could do? Siakam’s trade value will likely never be higher, Anunoby and Wright are rotation guys at worst, and Valančiūnas isn’t a bad consolation prize for matching salaries. Much has been made about Davis purchasing a LA-area home this past year. The purchase has been linked to Davis’ desire to play for the Lakers and make Los Angeles his home for the long-term. However, there’s a chance he may have had a different franchise in mind. Between the two LA-based teams in the NBA, the Clippers boast the superior coach and more accomplished front office. The Clippers wasted no time rebuilding to a competent level following the departures of their ‘Lob City’ stars. A potential All-Star in Harris — coupled with two promising 20-year-olds in Gilgeous-Alexander and Robinson — gives Jerry West and Co. the firepower to keep the Pelicans on the line. With plenty of cap space heading into this off-season, the Clippers could pair Davis with any of the premier free agents. Despite the bleakness of Houston’s cap situation, the Rockets shouldn’t be considered out of the running quite yet. Morey is a savant when it comes to flipping picks and players for an upgrade. He’s spent the last decade piling up fringe talents waiting for the opportunity to strike. He did so with James Harden, and again with Chris Paul. Does Morey have one more ounce of magic in him? Kristaps Porzingis and Anthony Davis patrolling the front court in Madison Square Garden? Sign me up, please. For as much flak as they’ve gotten, the Knicks haven’t made a splashy move in quite some time. Davis would be the perfect cornerstone to bring winning basketball back to NYC. They have four decent (or at least, intriguing), young players to send over to New Orleans. One of Enes Kanter, Tim Hardaway Jr. or Courtney Lee will be included to ensure salaries are matched. The Pels will ask for the Knicks’ 2019 pick, but the idea of teaming Davis and Porzingis with either Zion Williamson or R.J. Barrett is too tantalizing a possibility for New York’s front office brass to relinquish. When you start putting together potential packages, you start to realize the Heat have as good of a deal as anybody. Richardson is a legit two-way wing on an awesome contract. Winslow is just now starting to realize his potential, and is still just 22 years old. The 21-year-old Adebayo boasts the skill-set of a modern day big who can protect the rim and finish lobs. Miami wouldn’t have much left once Davis arrives, but the Heat have shown a willingness to go all-in previously. Additionally, Davis would once again make the Heat one of the most desirable landing spots for future free agents.